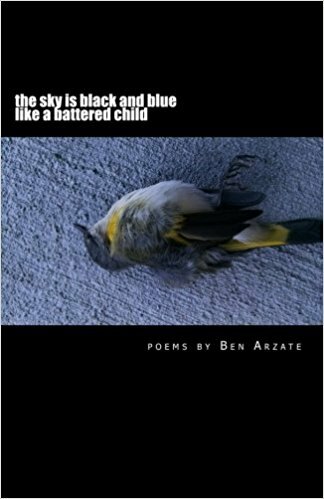 I first met Abe from Treasure Mammal around 2002-2003 and briefly lived with him at a house known for late night pool parties in Tempe, Arizona. Before he had started Treasure Mammal, he had been in a number of more conventional and “serious” indie rock bands. Despite being a multi-talented and gifted musician, he probably found standard indie rock fare to be a rather stifling and boring endeavor. He was always the life of the party and someone with Four-Loko tier levels of energy, and so Treasure Mammal turned out to be the perfect creative outlet for him. Anyway, I didn’t intend for this to sound like an obituary and am happy to observe that 15 years later, Treasure Mammal is still around, even as a zillion other Phoenix bands have come and gone. 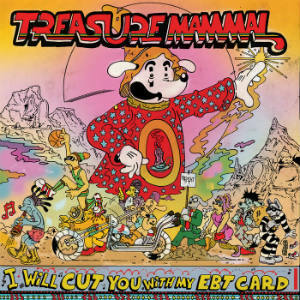 Treasure Mammal has always differed from other indie “fun” or “humor” bands in that usually these types of groups use theatrics, costumes and funny gimmicks as a substitute for musical ability. In Treasure Mammal’s case though, Abe is actually a very skilled and accomplished musician, who just so happens to prefer to let loose and engage in this kind of wild chicanery. Another thing which distinguishes Treasure Mammal from similar bands was the use of top quality recording and production. While most people would have been content to throw some crap together and record it on 4 track, Treasure Mammal worked on their releases with some of the top recording engineers in the valley (Mike Hissong, Ryan Breen, etc.) Nowadays, almost anyone can make a near radio quality recording (production-wise anyway) with the software available, but Treasure Mammal was insisting on the very best studio production even 15 years ago. Over the years, Treasure Mammal has had a knack for capitalizing on faddish catch phrases as they become part of the popular lexicon, quickly turning them into songs while their usage is still fairly prominent among the public. Examples of this are Best Friends Forever, Spring Break, and Real Talk. The most recent example of this is the jam, Missed Connections, (from the 2015 album I will Cut You With My EBT Card) which appears to be a musical satirization of the kinds of bizarre messages one might frequently see in the Missed Connections section of Craigslist…and it’s epic. Seriously, this track is awesome. It combines subtle, ironic humor with an excellent and catchy pop song. The chorus, where the female vocals kick in (featuring singer Lonna Kelley,) channels its inner Olivia Newton John in the sense that it is simply magical. The style of the song blends 80s synthpop with avant garde spoken word. Though it isn’t meant to be taken seriously, Missed Connections could be interpreted as a social commentary on the empty desperation that animates these kinds of classified ads. I assume most people read these ads for amusement, but what about the ones that write them… and do so earnestly, without even a hint of trolling or irony? Who are they? What do they look like? What kind of low point are they at in their lives? There’s something deeper about contemporary society and atomization in this super fun time tune, whether anyone cares or not. One largely forgotten entertainment relic of the 80′s (that I was huge fan of) is the show Braingames, on HBO. It was an educational, animated program which featured puzzles and encylopedic trivia, presented in a uniquely creative manner. I don’t remember anything particularly offensive, but the show often used mildly caustic and cheesy humor of the sort you would not really see in more sanitized and watered-down “kids” programs of today’s atmosphere. That’s a subject for another day though. 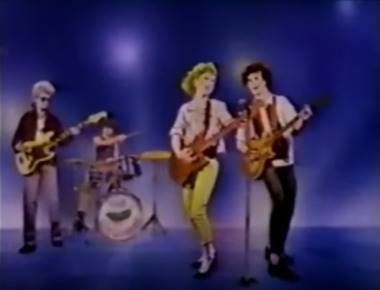 One of the episodes had a brief vignette called “Memory Rock,” where they show clips of a band performing, and you had to remember things about the group, such as what they were wearing, how many members etc. For this segment they actually used a real band, The Cucumbers, and their college radio hit song, My Boyfriend. This song is archetypically 80s awesome and soooo catchy, I have to wonder how many additional fans they got even from this obscure Braingames placement. It’s catchy enough that I frequently find myself jokingly singing this song to my girlfriend (which annoys her,) even though it’s titled My Boyfriend and features a female lead vocalist. They redid the song a few years later for an album, adding some synth and changing the section where the guy sings solo to one where the female vocals are out front. However, I think the original version (the one heard in Braingames,) which appeared on an EP released on Fake Doom Records in 1983, is superior. It’s an abstract postulation, and I can’t really pinpoint the reason why, but the sound just has so much more vitality. My Boyfriend is one of the best relatively-obscure-yet-memorable jams of the 1980′s, and The Cucumbers are actually still around! Check them out. As far as the instrumental backing, the final track You & Me is my favorite. 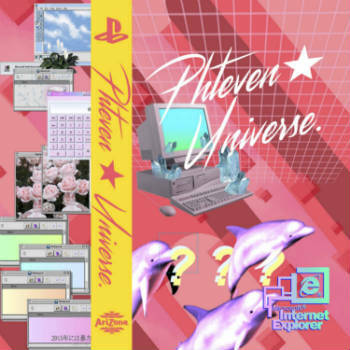 It features a bouncy, dreamlike synth beat, reminiscent of video game music. This mixtape fuses elements of hip hop, R&B and pop. 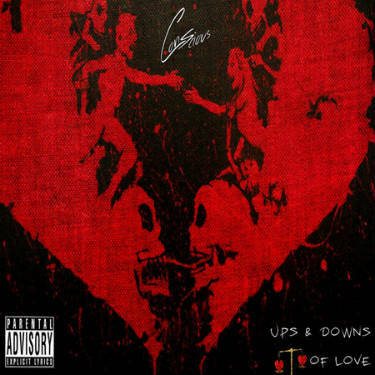 Conscious seems like he’s on the right track with this mixtape. Artistically, creating a themed album in which the songs act as components within an overall structure which itself is part of the art, is a good move. It adds a dimension of vision and thoughtfulness that you don’t often see in any plain old mixtape. I first discovered Magic Wands at SXSW in 2010 when they played at The Ghost Room (at least that’s where the old schedule says they played, I can’t remember to be honest.) I never forgot the band though. When I got home I looked them up on Myspace when that was still kind of a thing at least for music. When I was younger, it was always my dream to be in a two person “boy/girl” band. I was never able to find the right girl to partner up with though. The ones who seemed like good prospects (Dawn Aquarius, etc) all either lived too far, and/or were already partnered up. The long distance dream became real for Magic Wands though. They represent everything about why I loved these types of groups, right down to the name. “Magic Wands,” indeed. Well, I loved their track, Black Magic. It is always stuck in my head, and I think it’s one of the best songs of the last ten years. So that left Jupiter with a high standard to live up to. So often with indie bands, the new material just doesn’t quite manage to conjure up the same level of magic as the earlier releases (a good example would be The White Stripes.) I’m happy to say though, that in the case of Magic Wands, Jupiter is awesome and doesn’t feel like a sell out or departure from their earlier sound. It is every bit as good, and clocking in at over 50 minutes…is nothing short of an epic masterpiece. 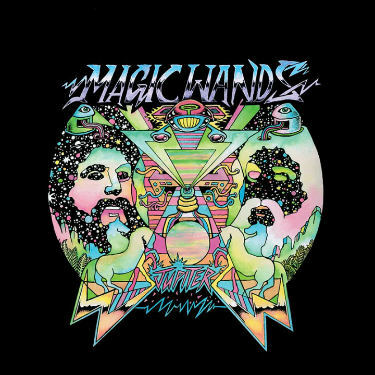 Like other contemporary indie bands, Magic Wands tends to blend different styles, an almost inevitable consequence of growing up at a time where one is exposed to so many conscious and subconscious musical influences. 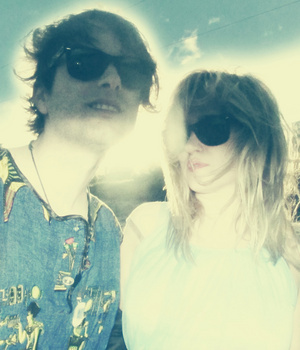 Their sound could be described as an alchemic combination of late 60′s psychedelia and avant garde 80′s synthpop. The reverb drenched title track, Jupiter, really does echo all the through to the underground oceans of icy Europa. It serves as a nice, spacey, cryonic intro for the next track Love Soldier, which absolutely rocks. Yes, the Roman Gods would be pleased with this peppy paced, heroic jam. It’s extremely danceable and could make it on the club circuit, even though the kind of people that typically go to clubs probably don’t deserve something this authentic. I can say this because for decades I was one of them. The amusingly titled “Lazerbitch” sounds like something straight out of The Legend of Billie Jean. I can almost picture Helen Slater mouthing the chorus, “I’m a Lazerbitch.” I should mention also that these are not particularly short songs. Several of them run 5 minutes plus, keeping true to the genre. Just when you think they’ve probably led with their best foot forward (most bands are told to put their best songs first to hook in the listener,) used up their pixie dust and shot their wad, you soon find that the songs just keep getting better. Chariot is another fast paced song, which retains its dreamy ambiance while taking you on a wild, far out ride, like Charlton Heston in Ben Hur if his chariot had been retrofitted for space travel. My favorite track on the album is Dream Street. It’s just so much more dynamic than the other songs and really allows Dexy Valentine to showcase the impressive range of her vocal capabilities. She reminds me of a hipster sorceress version of Blondie. It’s as if Blondie took one of Alice’s pills in Jefferson Airplane’s White Rabbit, but instead of growing larger or smaller, she just sang about weirder, more imaginative stuff….which is interesting considering one of Blondie’s greatest hits was literally titled, Dreaming. Magic Wands actually transports you to a dreamlike state, rather than merely touting the act of dreaming. Blue Wall is one of the more mellow songs on the album. It’s relatively slow paced and gives you a chance to chill after an action packed half hour. 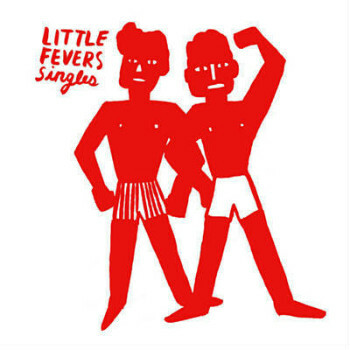 It’s followed by another lively track, I’ll Never Go There Again, which I don’t have much to say about, as much of what I mentioned earlier regarding Love Soldier would also be applicable here. The album closes with an ambient, instrumental outro, Jupiter II. It’s beautiful. You feel like you’re right out there in Jupiter’s orbit. You’ve opened the pod bay door, deactivated HAL 9000, the whole shebang… and you’re quietly staring into the monolith. What do you see? It’s full of stars? Your future self on your deathbed? Or do you observe the image of the God of Jupiter himself, hurling a mini thunderbolt toward you with an intent not to kill or punish, but to electrify and spark your imagination and creativity ever further, as a token of reward for making it to this level.